It should be arriving on Wednesday. Wow, what an awesome critter Scuba. I LOVE the darker colored boas. Congrats on the great new addition! We are of like minds in that respect. I also picked up a “mostly black” WC Tiger Rat last week. He’s still a little cautious, but I’ll try to get pics up soon. I like the high yellows too, but this one was a deal I couldn’t pass up. Wait a minute... what ARE those? 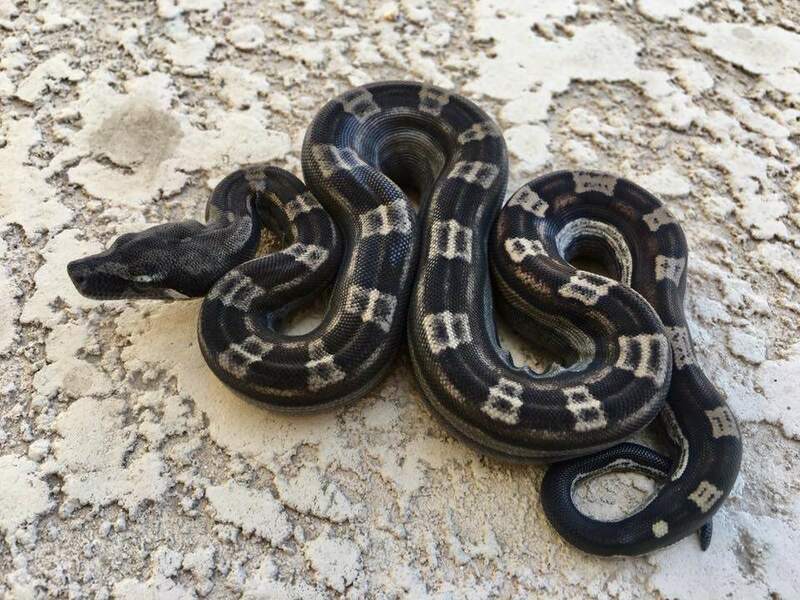 Are they boas or pythons? Wow!!! Congrats!! That is a STUNNING animal, I'm drooling over here! For what I paid, it had better be just like the photo. I just hope mine keeps the dark head and the separated saddles.